DMG is the Chinese investment firm that put so much money behind Valiant Entertainment that the New York publishers were able to develop TV shows and movies based on Valiant characters naming the likes of the Russo Brothers. They also got a slate of projects lined up with Sony and the like. In the end, DMG bought out the other investors and took over the publisher. But some people are a little worried about the firm, its performance, and the people behind it. It is common for big Chinese firms to be connected to the Chinese government and the ruling party organisation through their executives. It’s the kind of thing that worries some countries — when their firms do business with China, the Chinese government is involved to a far greater level. Peter Xiao Wenge, Chairman and controlling shareholder of DMG, has close ties to the People’s Liberation Army of China. He also owes a casino in Singapore $12 million and another casino $5 million. Earlier this year it was noted that DMG had borrowed heavily against issuing its own shares but that there had been no dealing in them for a considerable time. It was also noted that out of 1250 listed Chinese companies, DMG was the seventh most troubled. See the listing for 002143: CH (or SZ) — that’s DMG. Then this month, on July 9th, DMG started trading for the first time since February. 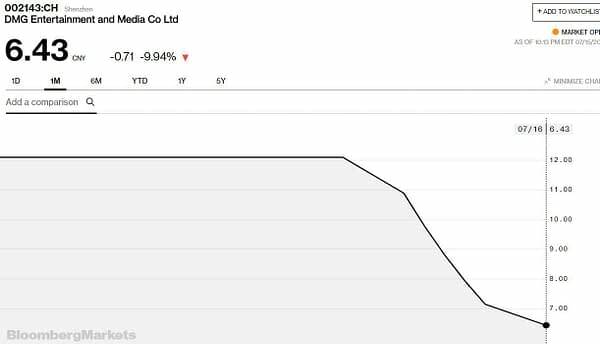 Now, shares in Chinese firms can only fall so much on a daily basis before the stock is suspended for the day, and that amount is 10%. Trading was halted at 9:31 p.m. EST (after one minute of China trading hours) due to a 10% share price drop. 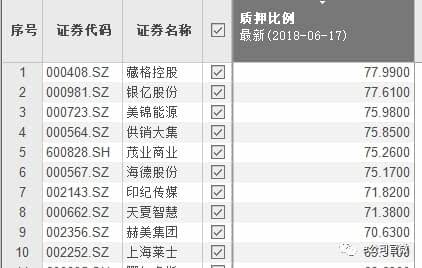 On July 10th, DMG Entertainment stock hit its drop limit again, after only one minute of trading. And it has continued to fall since. DMG’s stock fell by 45% in four days — 10% a day counted compoundly. It has now almost halved in price. Valiant fans are watching, and they’re worried. As stated, this is not just a DMG problem. The Chinese stock market has been in trouble for a while. But to place seventh on that list may raise some eyebrows. UPDATE: Valiant has sought to assure me that the DMG that owns Valiant is separate from the DMG quoted on the Chinese stock exchange and that worries are groundless. However, that separation was not evident when DMG first invested in Valiant.